Uncertainty in general practice is unavoidable. We deal with uncertainty in more than half of our consults. Coping with the uncertainty is an essential skill for GPs. This month we again listen in on a webinar about Dealing with Diagnostic Uncertainty with Marlene Pearce, a GP based on the Sunshine Coast, QLD. This is the final part of a 3 part series, based on the webinar delivered to RVTS registrars by Marlene. In Part 1 of ‘Uncertainty in General Practice’, Marlene spoke about using clinical reasoning to assist, what to do when we’re stuck, as well as what pitfalls to avoid. In Part 2, we consider what contributes to the uncertainty we experience. 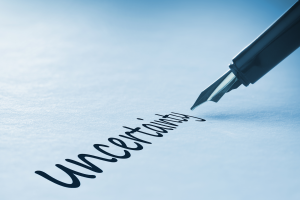 In this final part of the webinar, we look at how best to deal with this uncertainty. In summary: Marlene discussed Murtagh’s approach, which includes considering the probability diagnosis, serious disorders not to miss, consider those disorders that are often missed, consider the 7 masquerades, and consider if the patient is trying to tell you something. Also, avoid over investigation and overtreatment. To minimise risk to yourself: be thorough, be safe, and be honest. Avoid unrealistic expectations, validate patient frustrations and share decision making if possible. The Guidelines are just that – guidelines – but it’s advisable to discuss decisions that go against the guidelines with peers or your supervisor. Document discussions and advice for future reference. Be aware your own mental state and how this may affect your clinical reasoning and decision making. Uncertainty in general practice is unavoidable. But it can be managed and minimised to keep patients and ourselves safe.